Hundreds of homeowners associations are foreclosing on banks that have failed to pay dues and other expenses on the properties they've repossessed. Since the housing bubble burst in Florida five years ago, more than 400,000 borrowers have had their homes foreclosed on by their lenders. But for some, it's payback time. Hundreds of homeowners and condo associations are foreclosing on banks that have failed to pay dues and other expenses on the properties they've repossessed. When banks foreclose on a home they become responsible for paying fees to the homeowners association -- both any unpaid fees going back as far as 12 months and all expenses going forward. In many cases, however, banks are failing to pay, leaving these associations short on cash, according to Miami-based attorney Ben Solomon. But now, homeowners groups are putting liens on the properties until banks pay up and foreclosing on them if they don't. So far, Solomon's firm has filed more than 1,100 liens against banks on behalf of homeowners and has pursued 131 foreclosures. In more than 90% of the cases, he said, the banks settle by paying the bills. The banks' failure to pay dues has consequences. Other homeowners have to make up the difference, or the homeowners associations may lack the money they need for things like routine maintenance, security, water and garbage collection. Don Gonzales owns a townhouse in a condo community on a golf course in Homestead, Fla., where Solomon recently filed suit to foreclose on JPMorgan Chase (JPM) to recover $20,000 it owed on more than two years of dues and common charges. "I own two properties and it really ticks me off when the banks don't pay their fair share," he said. "Everybody else has to make it up." Because of the shortfall, the condo association had to cut down on security and postpone maintenance. "We haven't had our blacktop resurfaced for years: It looks terrible," he said. "We have palm trees where we used to have the coconuts taken off. It's a safety issue, but we can't do that now." Chase would not comment on this specific case but did confirm that it is responsible for paying all dues or fees on properties it owns after foreclosure. The Southbridge Homeowners Association in Pembroke Pines, Fla., is owed about $1 million by several owners, many of them banks that took possession after foreclosures, according to Marc Lebron, the association's treasurer. To make up for delinquent payers, Southbridge has had to hike maintenance fees to $260 from $145. But it's also trying to get what's due. The association filed for foreclosure against Deutsche Bank (DB) last spring after the bank failed to pay fees for more than two and a half years on a home it owned since September 2009. Deutsche and other banks claim that they are just trustees of the property and that the mortgage company servicing the account is responsible for paying the fees. That could be the case if the mortgage servicer held the property's title after the foreclosure, said Michael Gelfand, an attorney who has instructed the Florida Bar Association on the rights of homeowners associations and banks in these cases. The title holder is responsible for the fees, he said. Typically, however, after banks foreclose on a property they are almost always the official holder of the mortgage, said Solomon. As in a vast majority of the cases Solomon has filed so far, Deutsche Bank settled. 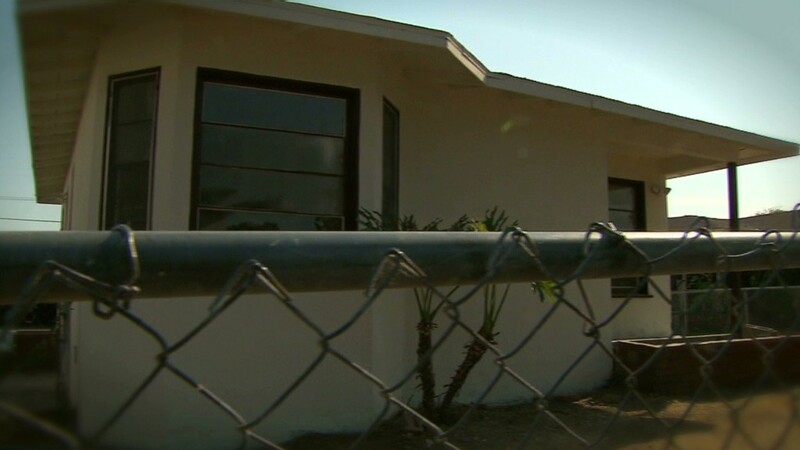 After the foreclosure paperwork was filed, the bank agreed to pay the back dues of $25,513. Only in very rare cases do homeowners associations end up pushing the foreclosure all the way through to the auction sale of the properties. This has happened only once for Solomon. In early November, Keys Gate Community Association in Homestead, Fla., brought a foreclosure on a property owned by mortgage servicer, NovaStar, which owed $22,890 in back dues and fees. In mid-November, the association foreclosed on NovaStar and the home was sold at auction to a third party for $62,000, fully paying off the debts to the association. Novastar did not respond to a request for comment. Are you considering or in the process of applying for a reverse mortgage to help pay for retirement? Contact Melanie Hicken for the chance to be included in an upcoming story at CNNMoney.com.